Does your child have a special interest in the many wonders found in nature? Why not nourish that interest at a birthday celebration where they can have fun and learn at the same time? Give your child the gift of nature and celebrate their next birthday at White Memorial. 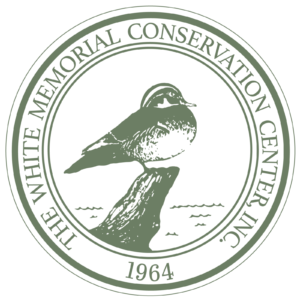 Birthday Party Programs at White Memorial include a 45-minute presentation of your choice (see programs below), admission to the Nature Museum, and the option of reserving a space for your celebration. You may also request our Indoor Museum Scavenger Hunt. Group size can be up to 20 children. Parents must supply decorations and all food. Ask about party favor bags starting at just $3 each. To schedule a birthday party, please call the Museum at 860-567-0857. Have you ever seen a dragonfly nymph or a water scorpion? Find out what critters live in a pond during this engaging catch-and-release discovery session. Children will learn about metamorphosis, food chains, and other pond-related information. Equipment will be supplied. Plan to get your hands dirty! Your birthday child and friends will have a close encounter with some of the Center’s live reptiles. They may meet Corny the Corn Snake, Miss Piggy the Red-eared Slider, Rocky the Box Turtle, or other Center inhabitants. Snake skins, turtle shells, and other props will be on display for hands-on learning. On this guided nature hike, use all of your senses to discover nature’s treasures, such as the “Bubblegum Tree” and the Orange Jelly Fungus. In less than a mile, children will be introduced to many wonders of nature in northwestern CT. An easy (though not stroller-accessible) trail leaves right from the Party Room.